We knew it was coming; we just didn’t know when. Numerous websites and smartphone industry experts hinted to a smaller, slimmed down version of Samsung’s flagship smartphone, the Galaxy S5, claiming it would not only be smaller in size but also cost less. Well, we now have an official confirmation by Samsung that a Galaxy S5 Mini is on its way. On July 1, 2014, Samsung officials confirmed the rumor of a Galaxy S5 Mini variant. But they didn’t just confirm its existence, they also said that it was launching NOW. Yep, you don’t have to wait around for weeks or even months, as the Galaxy S5 Mini is launching now. Samsung officials noted, however, that it may take a while for new variant to reach certain markets. Now for the million dollar question: is the Samsung Galaxy Mini worth buying? We haven’t tested the device for ourselves, but Samsung released hardware and software specs, most of which look pretty good. It’s important to remember Samsung designed the Mini variant to appeal to a more budget-conscious group of consumers — people who aren’t willing to shell out $600-$700 for a Galaxy S5. 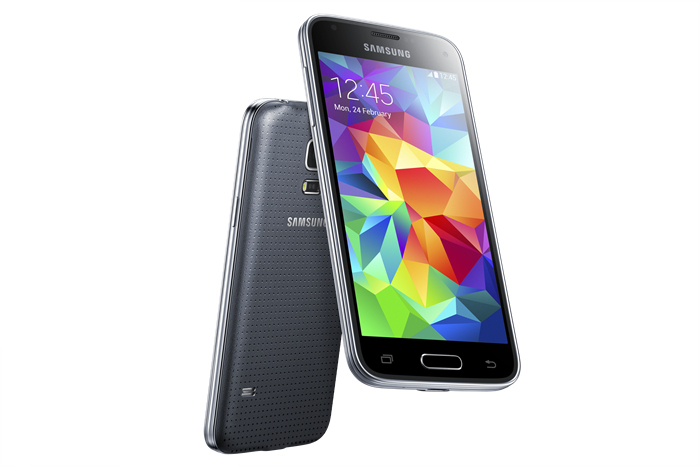 The Galaxy S5 Mini features a smaller 4.5-inch screen with 720 x 1280 AMOLED display. The smaller screen and lower resolution may turn some consumers away, but again, this reduces the device’s overall production costs, which in turn results in cheaper prices for consumers. Much like the launch-edition Galaxy S5, the Mini variant is powered by a quad-core processor (we don’t know what brand). However, the Galaxy S5 Mini’s processor runs at 1.4 GHz, whereas the Galaxy S5 runs at 2.5 GHz. Another subtle difference between the two devices is memory. The Galaxy S5 Mini features 1.5 GB RAM, whereas the Galaxy S5 features a full 2 GB RAM. The Galaxy S5 Mini has a 2,100mAh, removable battery. The Galaxy S5 has a 2,800mAh removable battery. Unfortunately, a downside to the Galaxy S5 is its camera. The original Galaxy S5 was (and still is) touted as having a powerful 16-megapixel rear-facing camera, which is great for people who enjoy snapping photos of pretty much everything they come into contact. The Galaxy S5 Mini has an 8-megapixel rear-facing camera — a substantial difference from its counterpart. Both the GalaxyS5 and Galaxy S5 Mini run Android KitKat 4.4. with Samsung’s own TouchWiz software. What are your thoughts on the Samsung Galaxy S5 Mini? Let us know in the comment section below!